Ahmedabad, April 05, 2019: When threads of tradition and culture are interwoven with love and marital bliss, it calls for a special celebration, and Marriott International is a pioneer in crafting the most exquisite weddings. 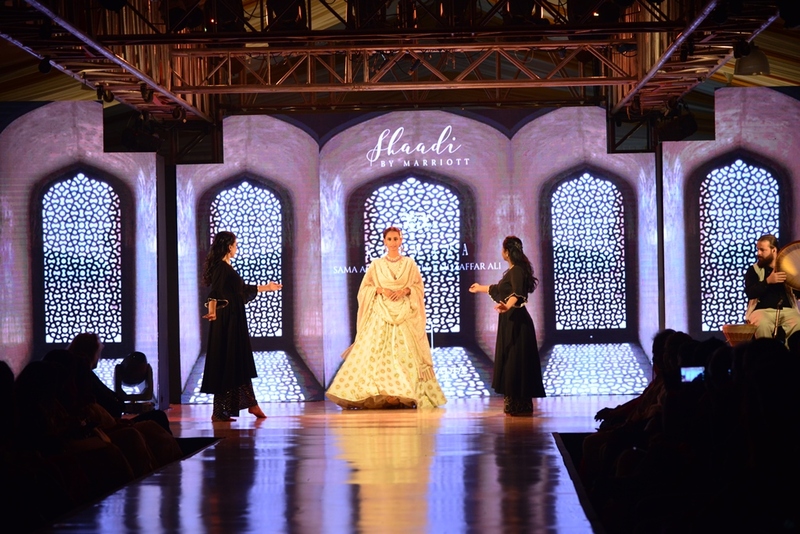 Showcasing Marriott International’s expertise in creating specially curated, personalized and memorable wedding experiences, Renaissance Ahmedabad Hotel hosted ‘Shaadi By Marriott’ – a two-day wedding festival on April 5 and 6. 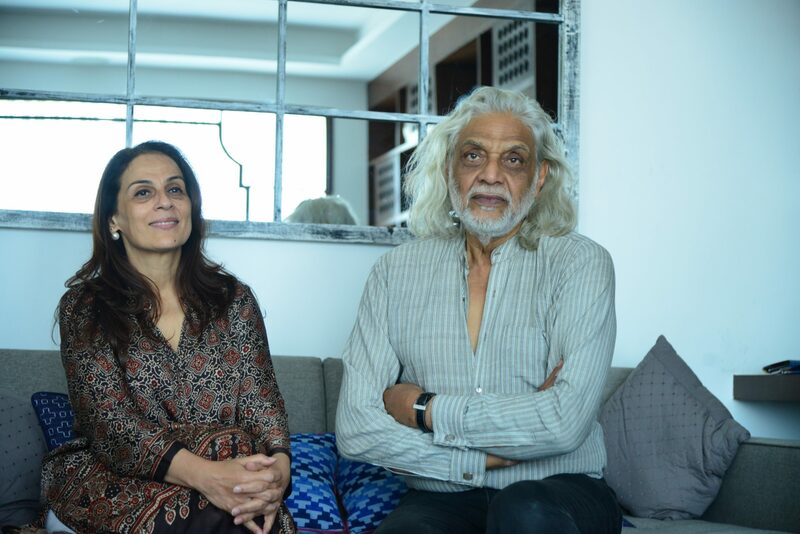 On the opening day of the event, a hand-picked collection of royal wedding couture by celebrated fashion designer duo, Meera and Muzaffar Ali, was presented on the ramp with the crème de la crème of the city of Ahmedabad in attendance. 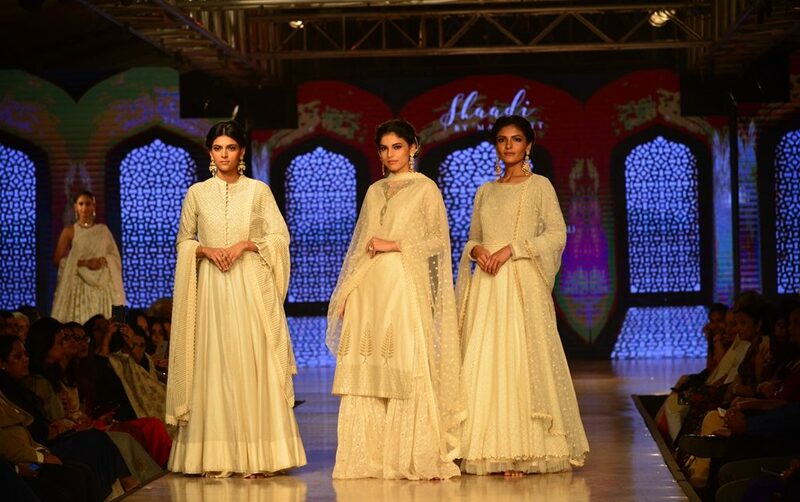 The ace fashion designers presented their exclusive wedding collections crafted for each of the wedding festivities ranging from mehendi, sangeet, cocktail and leading upto the big wedding day. Be it a celebrity affair or a closed one, an Indian wedding always has an element of grandeur and style associated with it. Shaadi By Marriott – the two-day wedding extravaganza curated by Krunal Parekh, elevated the wedding experience by showcasing the various aspects of a dream wedding ranging from exquisite bridal jewellery by Zinzuwadia Legacy and Purvi Shah; choicest collection of wedding and bridal wear by distinguished designers such as Umang Hutheesing, Purvi Doshi, Seema Mehta and Sailesh Singhania; an exclusive range of Gujarat’s heritage textile – Patola – by Weaving Heritage, among various others. 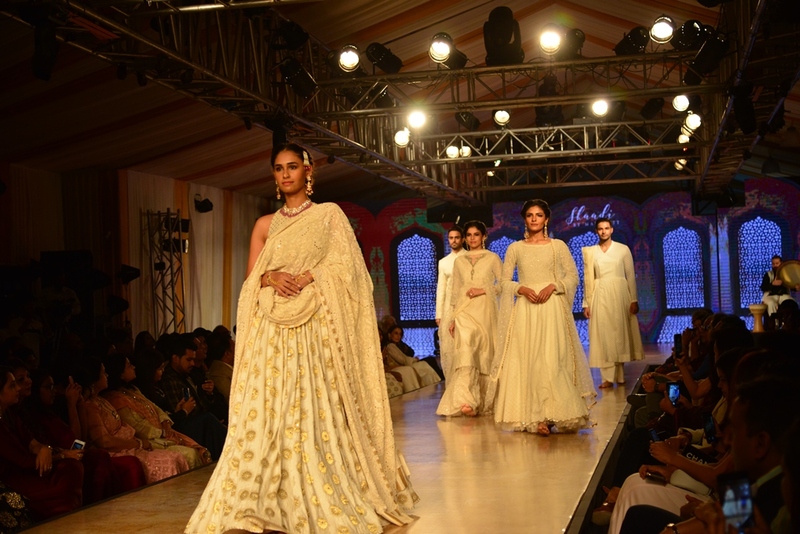 The two-day festival also exhibited a collection for fashion and luxury connoisseurs by Palace Karkhana; along with specially curated wedding concepts by wedding planners – Knot MARRIED and exotic weddings and holidays by destination travel company, Destino. Elaborating on the concept of Shaadi By Marriott, Mr. Pallav Singhal, General Manager, Renaissance Ahmedabad Hotel, said, “Launched in 2017 in New Delhi, Shaadi By Marriott is a complete wedding experience which gives you a peek into the finest of décor, food, music, jewellery and apparels, all carefully integrated to offer our patrons an unforgettable and personalized wedding experience. Shaadi By Marriott curates the minutest aspects of a wedding and delivers on the promise of a dream wedding all under one roof. Be it the biggest wedding of the season or the most private affair, we, at Renaissance Ahmedabad Hotel, will go a mile further to create a beautiful wedding, which is what we are showcasing during the two-day festival. “The sole objective of the festival is to create the ultimate wedding experience and set a new benchmark of excellence, customization, personalization and celebration. We, at Renaissance Ahmedabad Hotel, have conceptualized the biggest show for the city of Ahmedabad to put Shaadi By Marriott on the centre-stage of such events. The event will also exhibit Marriott’s culinary experience with the best of cuisines from across India” Mr. Singhal further said. 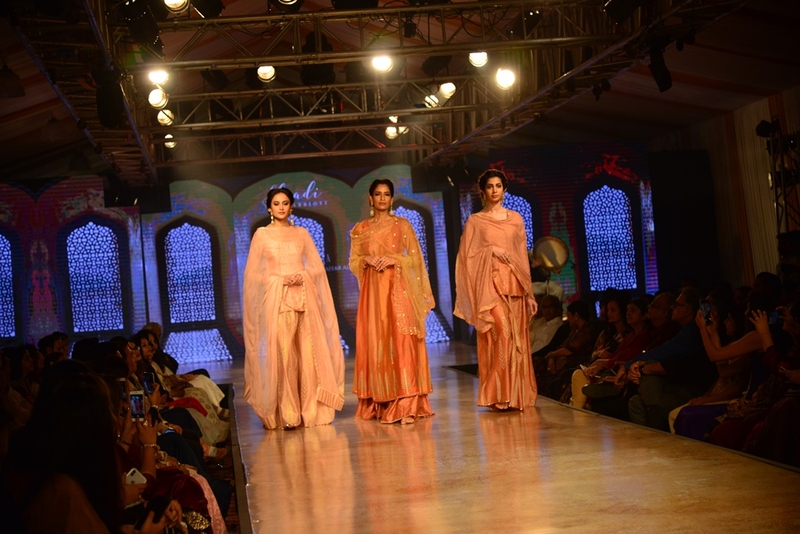 Recently in Ahmedabad, a fashion Show with 14 top models including Diandra Soares, Natasha Suri, Esha , Aakanshi and others ramp walked displaying Indo Western and Eco Friendly Outfits. Big Boss fame Diandra Soares was a Show Stopper at the fashion show in the city.